Create a new note by clicking the button in the top left corner of the app. 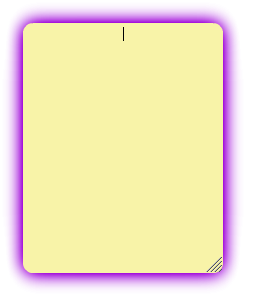 Your note will appear on the page with the default yellow background - just type to add your text. 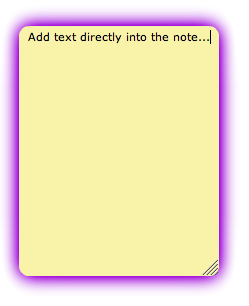 You will always be able to recognise the note you are editing by the purple glowing border around the outside. When you're done, just click outside of the note and your changes will be posted on the relevant page. The purple border will disappear. 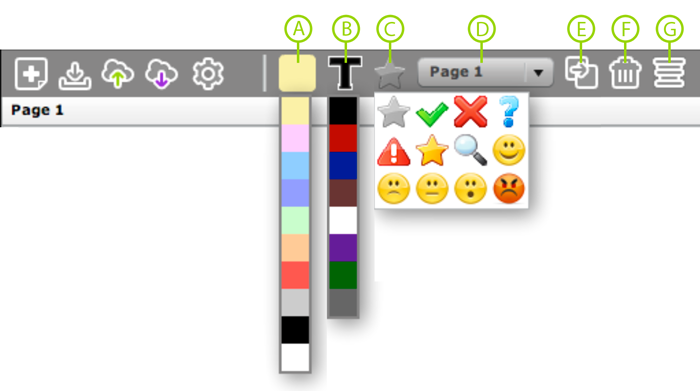 Once your note is out there, you (or any other person in the Adobe Connect room) can edit, move, resize or close a note using the options available.